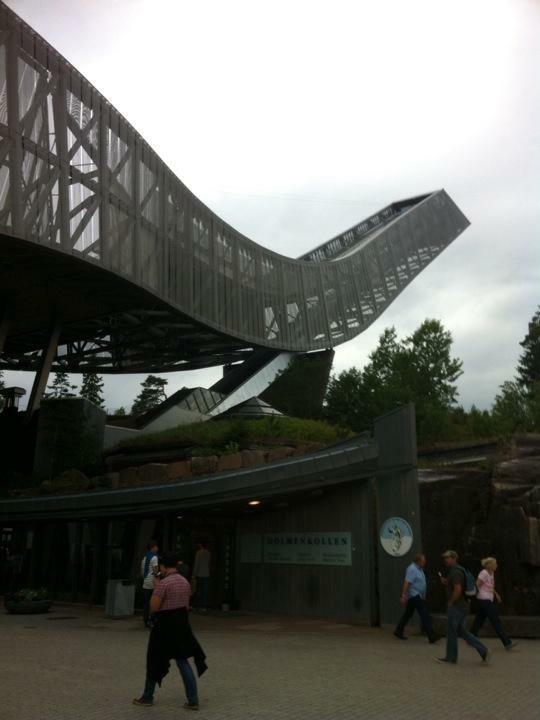 Took a scenic drive around the city area and then went up to the Holmenkollen ski jump. Great views on the way up but got very cloudy and started to rain quite heavily when we got back on the bus so didn't get many photos. We then went out to the Bygdoy Peninsula where all the museums and the summer palace is. Saw the opera house across the water. It was designed to look like an iceberg. The main stage is 9 m under sea level and people walk all over the roof! On the way back we went in a tunnel which passed under our ship. Right next to the pier was Akershus Castle - a medieval fortress built to protect the city. We had a rainy afternoon so it was pretty quiet on deck until sailaway.